Dr. John Demartini is a human behavioural specialist, founder of the Demartini Institute, international best-selling author, educator and business consultant working with CEOs of Fortune 500 companies, celebrities and sports personalities. He provides answers to questions and practical solutions to life’s challenges in numerous keynote presentations, workshops, television, radio and print interviews, published books, CDs, DVDs and online downloads. Globally he has worked with individuals and groups across all markets, sectors and age groups including government leaders, entrepreneurs, financiers, psychologists, health professionals, teachers and young adults, assisting and guiding them to greater levels of achievement, fulfilment and empowerment in all areas of life. His trademarked methodologies, the Demartini Method and the Demartini Value Determination, are the culmination of 42 years of cross-disciplinary research and study. His work has been incorporated into human development industries across the world. There are approximately 280 areas of knowledge sometimes referred to as ‘ologies’ for example Physiology, Psychology, axiology, and Dr. Demartini is a polymath (has a doctorate level in each of these 280 areas), having read over 28,000 books. Dr. Demartini has addressed public and professional audiences up to 11000 people at a time across the world and shared the stage with some of the world’s most influential people such as Sir Richard Branson, Stephen Covey, Wayne Dyer, Deepak Chopra and many more. From the thousands of testimonials he receives annually, Dr Demartini’s work changes people’s lives forever. 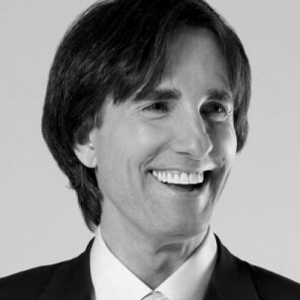 Dr. Demartini is the author of 40 books published in over 29 different languages. He has produced over 60 CDs and DVDs covering subjects such as development in relationships, wealth, education and business. Each program is designed to assist people to activate leadership and empower themselves in all seven areas of their lives: Financial, physical, mental, vocational, spiritual, family and social. For speaker enquiries & bookings, contact Front Row Speakers on +353 1 485 3991.